This chart shows the Government Bond Spreads (difference between interest rates of 10 year government bodns of the selected countries verser the interest rate of german bonds). 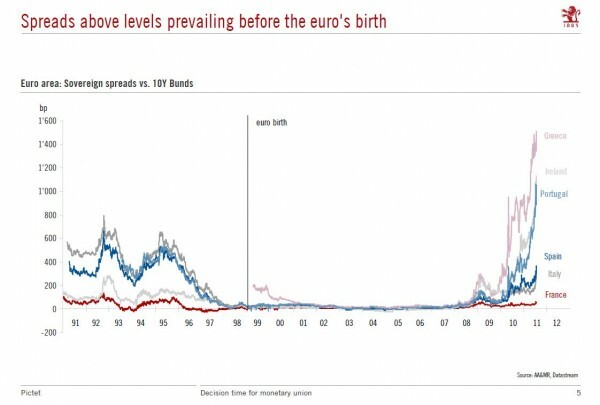 You can see that for some of the countries these spreads are higher than they were in the years before. So you may ask as the FT did: Why did we bother?